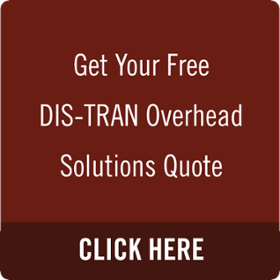 DIS-TRAN Overhead Solutions is a premier manufacturing company that has served the overhead needs of the utility industry for more than 50 years. We offer high-quality solutions to meet the individual specifications of each project. We design, manufacture and treat a complete line of Douglas fir and Southern Yellow Pine distribution crossarms, transmission arms and assemblies. Our transmission assembly products include x-braces, vee braces, tension braces, double arm assemblies and all of the associated hardware. In 2016, DIS-TRAN Overhead Solutions added capacity through the acquisition of the inventory assets of Pennington Crossarm Company, a long-standing wood crossarm manufacturer. Our focus is to provide excellent customer service in the utility industry, working continuously to provide solutions for our customers' most important needs. Whether you are a long-term alliance partner, a blanket contract customer or a one-time buyer, we will work with the same passion and motivation to satisfy those needs. We have been building relationships with our customers since 1965, and it is our mission to continue maintaining relationships and building new ones as we move toward the future. We serve the utility industry with the customer in mind, working to continuously provide for their most important needs. We believe our values foster growth and development of our people and our company. This enables us to provide the kind of quality products and services that keep our customers coming back for more.